Privately tucked within huntington harbour, find your zen with this admiralty island contemporary. A modern beach home just a short distance to surf, sand, fine dining, shopping and entertainment. Enter from the private front courtyard to the sounds of cascading water features and walk along the floating stone entry over an award-winning pool. Clean architectural lines, large windows, glass doors and southern light exposure make this home open and bright. The thoughtful floor plan allows for circular entertaining. Course from custom bar to the living room, which opens to both front courtyard and enclosed dining patio. The kitchen includes a bar, informal dining area, formal dining and wet-bar access. The main level bedroom offers french doors to the beautiful side courtyard and deck access. Sunlight streams through the entry windows and the glass railed staircase. The upper level features the master suite, two bedrooms and a large media room. The courtyard spiral staircase and media room access a lavish deck offering beach, ocean, canal and mountain views. You can take in harbor water, and beach/ocean views from many rooms including the living room, - secondary upstairs bedroom, master suite & bath, and media room. Harbor views unobstructed by utility wires, which are all underground. Living within the exclusive huntington harbour islands provides access to many land and water activities year round. With several adjoining coastal communities, the enjoyment is endless! Waterfront top level penthouse unit in the guard gate community of broadmoor. One of quietest ot locations in complex. Overlooking the water channel of huntington harbor, providing forever water and mountain views. Three bedroom/three bathroom, fresh paint and carpet with new windows and slide balcony doors. Watch the christmas boat parade from the waterfront balcony or enjoy the ocean breezes. Two car garage, community amenities include pool, spa, tennis courts. Short walk to shopping and restauranst , across to the beach. 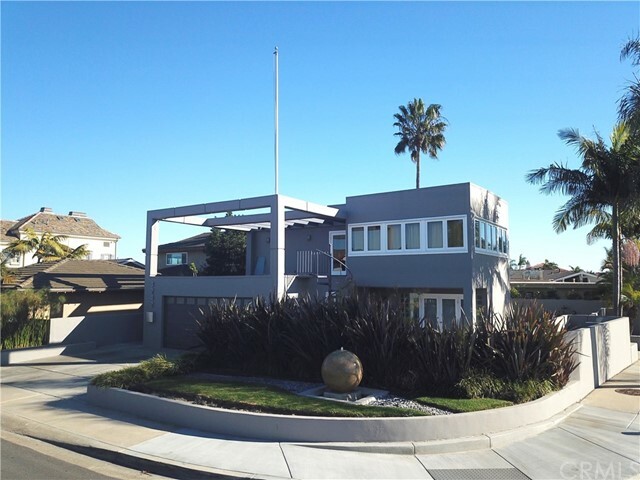 Beautiful and large home in huntington beach. This unique and well-build home over 3300 square feet of living space with vaulted ceiling, recessed lights, living room opens up to large kitchen with granite counter top, fireplace in family room, large master bedroom with separate steam shower. The upstairs come with 2 bedrooms and the entertainment bar, both room have it own balcony with the view. Great location near bella terra for shopping & dinning and a short drive to the beach, down town main street and pacific city. Must see to appreciate!!! Waterfront living at it’s finest! 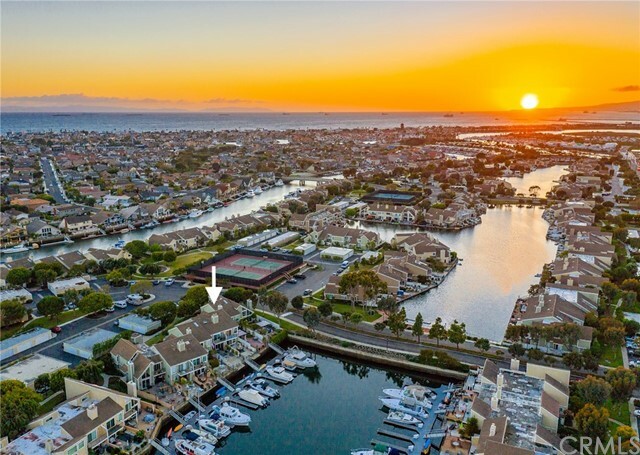 Featuring 3 beds, 2 baths this property is located in the coveted huntington marina gated community on the main channel in huntington harbor. Thousands of dollars in upgrades and remodeled throughout including new paint, carpet, laminate wood floors, dual pane windows, custom shutters, recessed lighting, upgraded granite bathrooms and much much more! Built-in shelving and closet systems maximize the interior storage space. The remodeled galley kitchen is complete with new cabinetry and hardware with soft close drawers, granite countertops, and stainless steel appliances. Master suite has an impressive walk-in closet with ample storage and a gorgeous upgraded master bathroom featuring separate his and hers granite vanities. Dual balconies including a private master bedroom balcony and a large balcony off the dining area and family room with breathtaking 180-degree views of the san gabriel mountains and huntington harbor. New boat dock included that will accommodate approximately a 30ft vessel plus a shared portable dock. 3 parking spaces included; 1 car garage, 1 driveway space & 1 carport #36. New price for this wonderful waterfront townhome directly across the street from the blue pacific of world class sunset beach!! 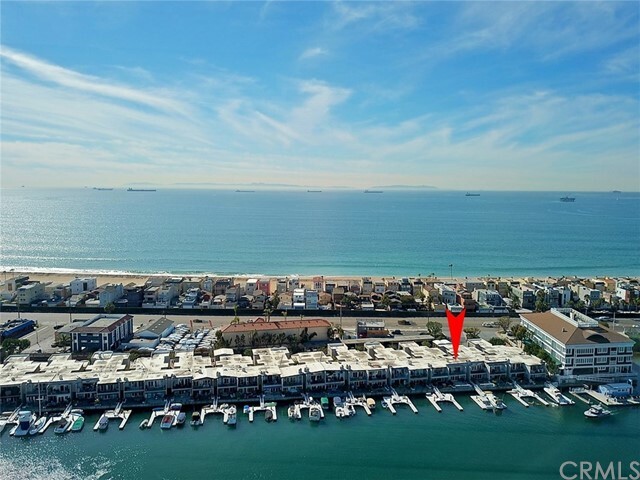 This single level floorplan offers beautiful panoramic 180° main channel views of huntington harbour, snow covered mountains and all the yacht activity in and out of the harbour. There is a 25’ boat dock included that should accommodate a 30’ yacht. Inside you will find a beautiful galley style gourmet kitchen, spacious living room with crackling fireplace and built in wall unit and elegant dining room. All with drop dead gorgeous waterfront views!! Very quiet large master bedroom with cozy private master bath, built in wall unit and mirrored wardrobes. Private secondary bedroom with mirrored wardrobe. Brand new carpet and paint throughout in this incredibly well maintained home. This is a very unique combination of waterfront ownership features! All this plus a world class view and only steps to the blue pacific! Amazing sunrise and sunset views of the bay& mountains from this sun-soaked second floor unit located in an exclusive gated community. 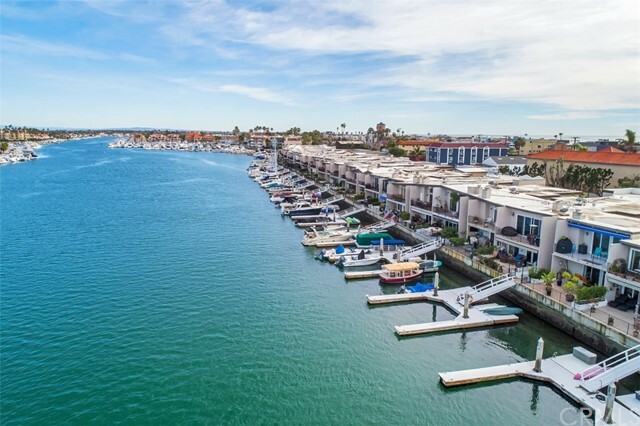 Spacious 3+ 2,1569 square foot unit includes a boat slip which can accommodate up to a 30’ vessel. Imagine having access to your boat right in front of your condo. The custom dinghy dock is an extension that increases your access to the harbor. The open- style living room has a dramatic floor-to -ceiling gas fireplace that creates a cozy feeling while the mirrored walls in the dining area double the spectacular view. Wall to wall windows open up onto a large tiled balcony overlooking the marina & bay. The retractable awning and outdoor heater create a year round outdoor living space perfect for entertaining. The gourmet chef’s kitchen has granite countertops, upgraded appliances and custom cabinets and a large pantry with pull-out shelves. Amenities include a lighted laundry closet which accommodates a full-sized washer and dryer, bamboo hardwood floors, newer carpet, window coverings and forced air heating. The oversized master suite opens onto a private tiled balcony. The large walk-in closet has custom built-ins and the full bath is tiled with double sinks. There are two large light-filled rooms (one has a bay view!) with full-length mirrored wardrobe doors and oversized closets. The unit includes three designated parking spaces, a one car garage, a covered carport parking space and parking in front of the garage. 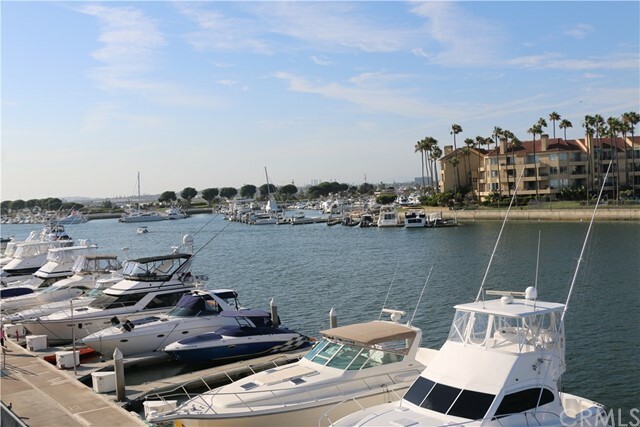 Waterfront huntington harbour light/bright remodeled condo that includes a 45' boat dock. Paddleboard in your own backyard from your privately owned boat dock. The beach is across the street; see/hear ocean waves + see catalina. Remodeled kitchen; caesar stone counters, ss high end appliances (thermador, fisher + paykel, jenn-air & samsung) w/ wine fridge. Top level condo w/ cathedral ceilings, copper plumbing, can led lighting + custom cabinetry. Master bdrm cathedral ceiling w/ walk in closet + custom mirrored wall. Custom wrought iron spiral staircase leads to upstairs loft (loft can be used for add’l bedroom +/or office) w/ ocean, sand + catalina views. Watch from the kitchen + the upstairs loft the boats on the ocean, joggers on the beach + the kite surfers. Interior laundry. Fireplace, smooth ceilings. Walk across the street to the beach or the bolsa chica wetlands to enjoy the super bloom + the wetland birds. Short walk to restaurants (tsunami, super mex, sea legs, pizza, ice cream, etc. ). Watch hh christmas boat parade from the condo +/or on your boat from your dock. Community boat dock that guests may use for <72 hours. Two community pools, jacuzzi, clubhouse, gym, tennis courts + basketball court. Low $367 hoa dues includes water, cable tv, garbage, landscaping + earthquake insurance. Boat dock hoa $45. Trader joe's around the corner. Minutes drive cruising pacific coast hwy to pacific city shopping + restaurants. 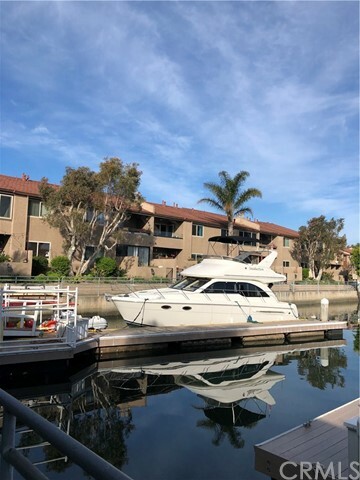 Boat launch + yacht club ~2 minutes walk from condo. Townhouse just completes a comprehensive remodel. New bathroom vanities, new fire places, central ac, new carpet, new paint. The works! Property has a driveway which is unique for community. This allows parking for 2 cars in driveway plus a 2 car detached garage. Laundry room inside residence. Greenbelt view from rear & peek-a-boo water view from front. Docks are available for lease. Central vacuum system makes sand & cleaning a breeze. Truly a turn key beach residence! Seabridge community boasts gated entry with tennis courts, pool, jacuzzi, docks for lease, green belts, private beach access, club house. This community has it all. Buyer to cooperate with seller's 1031 exchange at no cost to buyer. Enter this unique tri-level condo in a cul-de-sac location and proceed with awe. 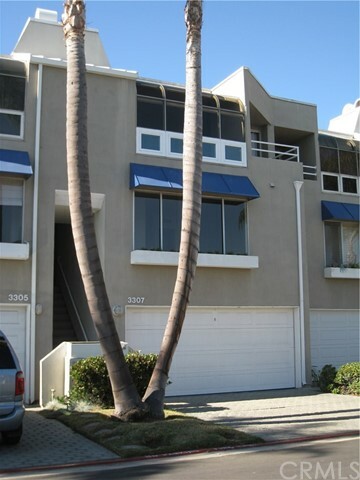 Built in 2008, tuscan style 13-unit complex in the heart of huntington beach offering over 1,600 sq. Feet of living space. The lower level has a master bedroom with a walk-in closet and a full bath. Separate laundry area with direct access to the attached 2 car garage. Walk upstairs to the mid-level and enter an open and bright floor plan. Kitchen features stainless appliances and plenty of cabinet space with a breakfast bar and kitchen slab granite counters. Living room offers plenty of natural light with large windows, new laminate flooring, inset lighting and features a tiled gas fireplace. Upper level features a master suite bedroom with large walk-in closets, a private patio/balcony with a panoramic view. Master has a walk-in closet and large master bathroom with separate tub and walk in shower with custom tiles showers, granite slab counters, dual sinks (chrome fixtures) and private toilet room.